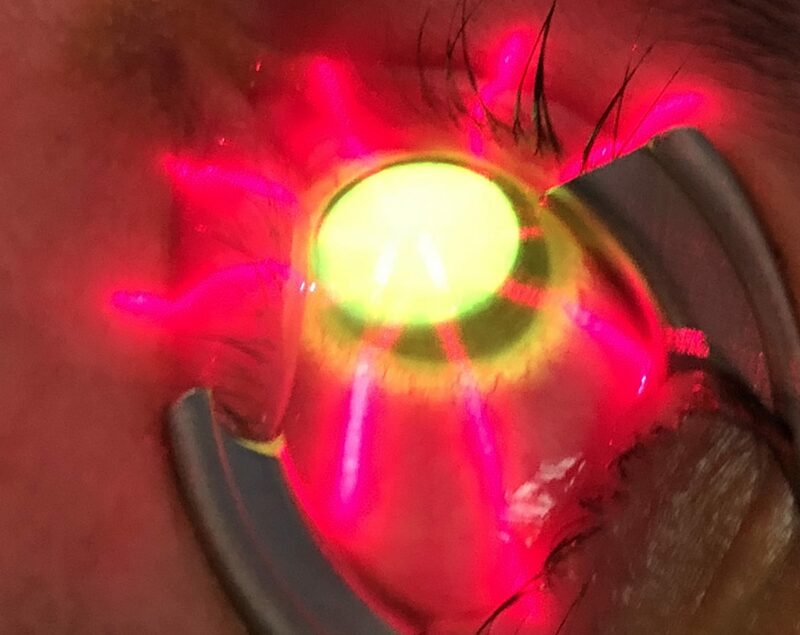 Accelerated Cross linking has been in use to treat Keratoconus. The traditional time of cross linking at 3 mw of UV energy has been 30 minutes. In accelerated protocols the energy is increased to 9 mw and the time decreased to 10 minutes. It is more comfortable for patients especially teens. In this recently published study we find that accelerated cross linking is as effective as conventional cross linking. This is good news for Keratoconus Experts seeking to cure and halt the progression of the disease. The doctors of this study done at Zurich compared the results in patients where keratoconus had been documented by corneal topography. The corneal thickness had to be greater than 400 microns. They compared the shape or topography and vision 12 months later. They found the accelerated treatment had similar outcomes.The failure rate in accelerated were 9/39 whereas in conventional they were 6/39. So statistically accelerated crosslinking may be as good as conventional. Still it is not superior.